Vector seamless pattern with cute Teddy bears hearts and flowers. Sketchy of bear holding heart shape with spring and summer flowers. 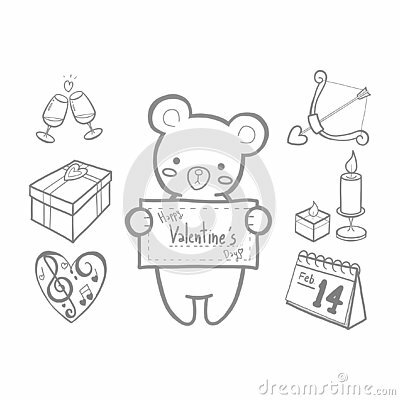 Set of Valentine bears for your design. Vector. Set of funny brown Teddy bears.